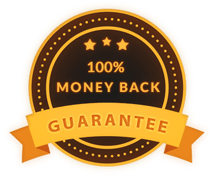 One of the best things about ordering a custom artwork is that there are no limits to what you can create! 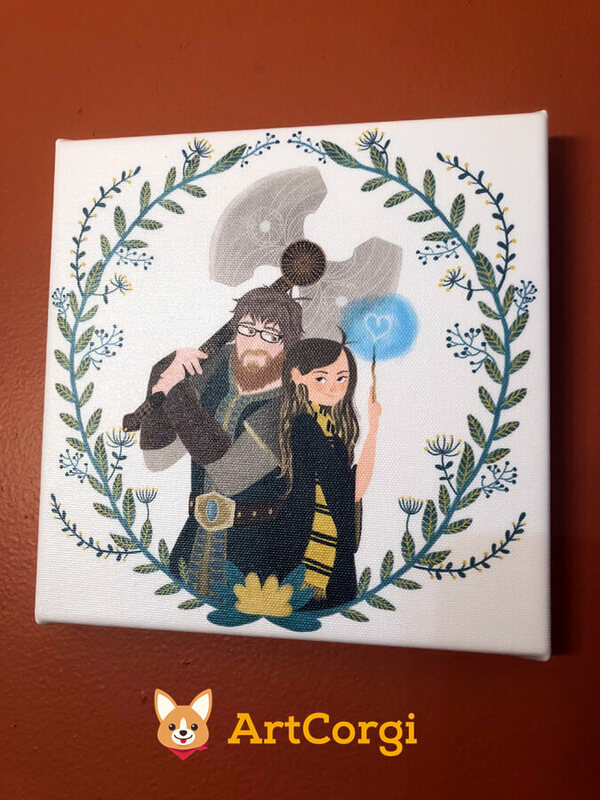 It doesn’t matter if you never received your letter to Hogwarts (neither did I :( ), you can be a wizard in the canvas! It’s okay if your puppy is too small to ride into battle: you can turn it into a giant dog in your custom painting! Anything you can think of can become a reality through art! That’s why we love Marley’s portrait so much! She saw this possibility and embraced it! She chose Silvia Brunetti’s Stylized Portraits and the result is outstanding! Read below to see how she came up with the idea to illustrate herself and her partner as characters from the Harry Potter and Lord of the Rings’ universes! Don’t you just love fantasy-inspired portraits? 1. Hi, Marley! Why don’t you tell us a bit about yourself? My name is Marley, and my partner’s name is Andrew. I’m 24 and he’s 27. We’ve been together over 4 years now and we met when we were both working at our local Walmart. (Thrilling, I know. Thankfully we both aren’t there anymore). We live up in chilly Canada (The southern part though, so basically a 2 hour drive to the states) and we’re currently looking into buying our first home! We’re both pretty different individuals, which is why I think we work so well. He’s big into his Greenbay Packers though I’m more of a Dallas Cowboys girl myself; my family wasn’t super pleased with his team choice when I brought him home for the first time! We both have a love for all things nerdy. We love Nintendo games, lord of the rings, studio ghibli, harry potter and so on. I’m just glad I found someone as nerdy and silly as me! 2. How did you come up with the idea to commission a piece of art to give as a gift to your partner? I’ve always thought having a commisioned piece done for me would be so cool. Even before Andrew and I met, but I never had the means to or found the right artist. I work at a company that prints canvas art, and someone else’s commission came through and I was blown away with it! Luckily the image title had the website name in it so I could track it down. One look through the site and the artists and I was sold. And as for giving this to my partner, we always try to out-do each other in gifts at christmas time (Which is not the point, we know) in a playful way. He’s gotten me a Wand and a Staff from my favourite Anime, and I’ve gotten him a Sword and an Axe form Lord of the rings, so I sat here wondering how I would beat that (I’m starting to think the bar is getting a bit high LOL) but I thought why not have an awesome image of us done in the worlds that we love so much!? 3. 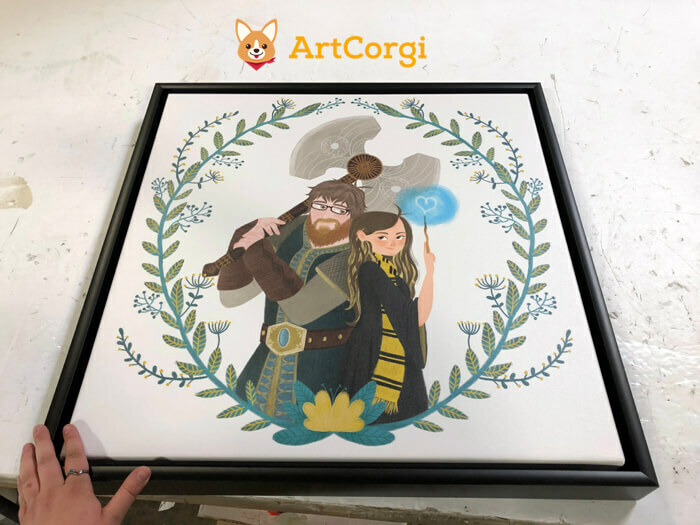 What made you choose ArtCorgi for your custom artwork? How did you go about choosing an artist? 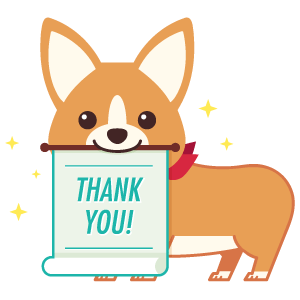 As I stated before, I found ArtCorgi through work (Which im so happy I did) and as for chosing an artist, I sat for quite some time looking through all the wonderful pieces that the artists have done and mulled over who i’d like to have do my piece when I came across Silvia’s work. Her work just popped out at me and it was in a very beautiful style that had such wonderful textures that just screamed me and I knew she was who I wanted to use! 4. I’m so happy to see you decided to add a nerdy touch to your commission. What made you choose a Harry Potter & Lord of the Rings theme for your original artwork? Well, like I said, we’re both absolute nerds, and our families never let us forget that. We’re both the youngest of 3 siblings, and all of them are married and in long term relationships and our thing has just always been what we love: nerdy stuff. I thought, if i’m gunna do this, I might as well keep in in our style and make it something thats freakin awesome because we don’t fit in the norm that our siblings do. We’re looking into getting our first home soon, and I wanted the perfect piece to go in it! Might as well show off our pride of being different in our home so people never forget it! 5. How was your experience working with Silvia Brunetti on this artwork through ArtCorgi? Silvia was amazing, she took everything I said and made it into a reality. I had a half formed idea in my head and she took that and made something real with it. I absolutely recommend her for your art needs, because she’s wonderful. 6. Anything else you want to share with us? Thank you for letting us get to know more about you and your unique fantasy-inspired portrait, Marley! If you’re hesitant to get a piece done, don’t be! I promise it will be an amazing work of art to cherish forever. Lucia is an absolute joy to correspond with and you’ll never feel out of the loop along the whole process. I’m so so happy with my one of a kind work of art and its amazing because I helped to make it! Thank you so much, ArtCorgi! Thank you, Marley! It’s been an absolute pleasure working with you and seeing how beautiful your portrait turned out to be! We hope Andrew will enjoy it as much as you did! 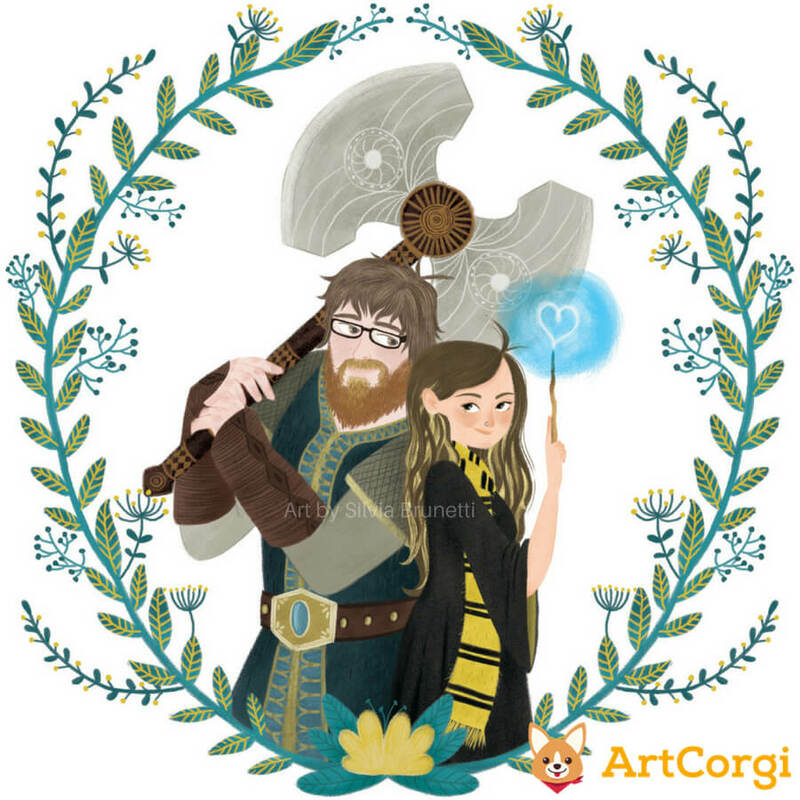 This entry was posted in ArtCorgi, Client Spotlights, Commissions and tagged art commissions, artcorgi, commissions, couple portrait, digital illustration, gifts for anniversaries, harry potter, lotr, silvia brunetti, the lord of the rings.